The rain barrel is placed underneath a shortened downspout, diverting the roof runoff into the rain barrel. Placing the rain barrel on a STURDY platform will allow for more clearance under the spigot, plus also will increase the rate of flow if you are attaching a hose to the barrel’s spigot. 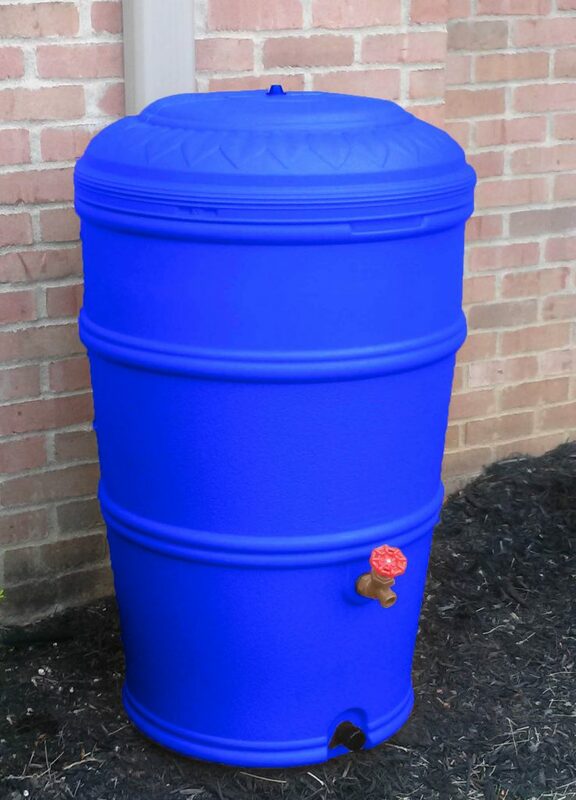 How do I maintain the rain barrel? During the spring and summer months routinely inspect your rain barrel. Remove any debris that has accumulated on the lid that might block the screen mesh. You should also routinely clean the inside of your rain barrel to reduce algae growth. During the winter months, remember to take your barrel out of operation. Simply turn upside down at the same location or stored somewhere else. The use of a rain barrel will provide an alternative to using tap water for watering lawns, flower gardens and houseplants. It will also reduce peak volume and velocity of stormwater runoff reaching lakes and rivers. It will also help reduce peak water demands during the summer months. Stay tuned for upcoming rain barrel workshops and free giveaways!